In the summer of 1854, the central London neighbourhood of Soho was struck by a sudden cholera epidemic. 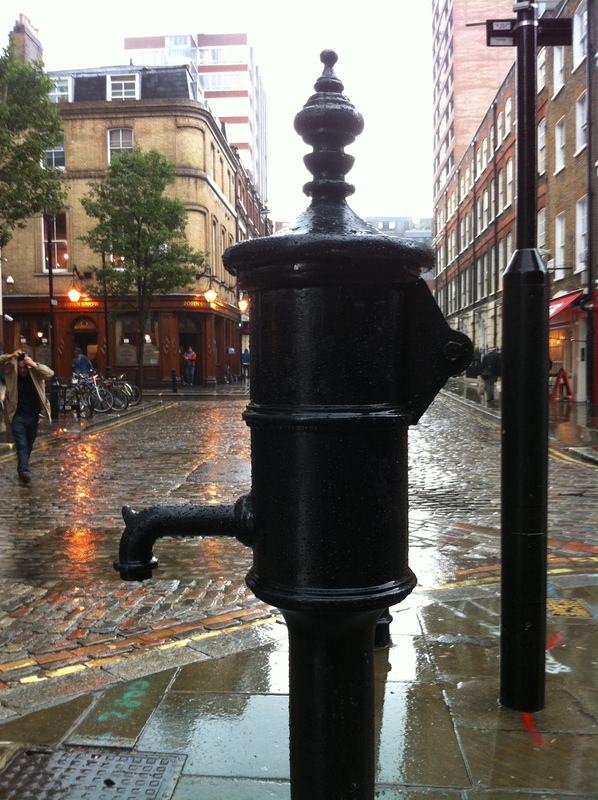 Local physician John Snow identified the Broad Street pump as the source of the outbreak, preventing further spread of the disease. These days, the affected neighbourhood is home to many pubs and cake shops, prompting my friends to organise a “cholera and cake” pub crawl with out-of-town visitors this past weekend. 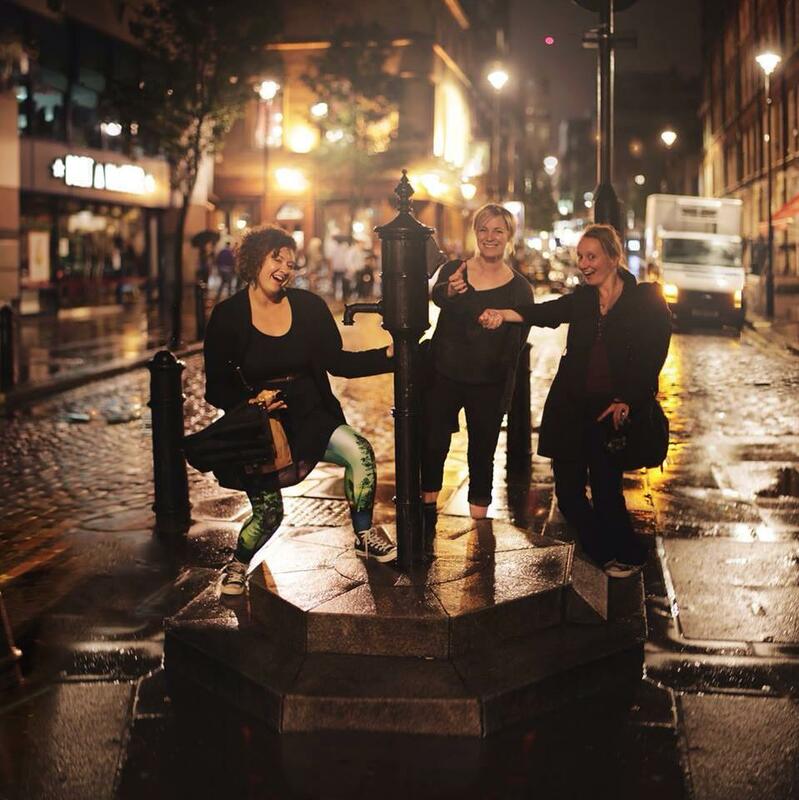 The Broad Street pump is not longer there, but in 1992 a symbolic pump was placed across the street from the John Snow pub, which is thought to have been the original location of the pump. Locating the source of the cholera epidemic was an especially impressive feat because the prevailing medical opinion at the time was that cholera was caused by “bad air”, and not by something you can find and eliminate. Germ theory hadn’t yet caught on, but John Snow was skeptical of the “bad air” theory, and suspected that there was something else. He talked to lots of people in the affected area and in neighbouring streets, and he started to notice a pattern. The correlation between the deaths and the location of the pump became especially apparent when Snow mapped the deaths. He managed to convince the local authorities that the pump was the source of the cholera outbreak, and the next day the handle was removed from the pump. No handle on this (fake) pump. 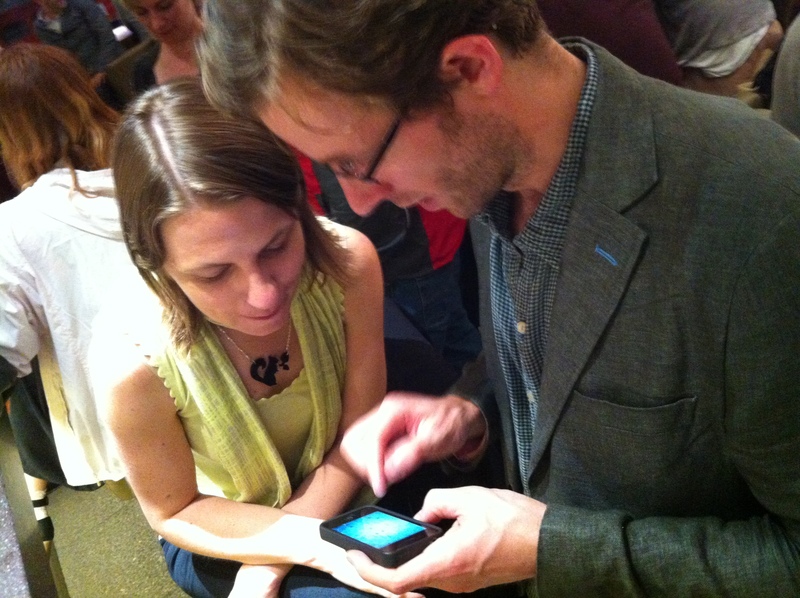 Looking at the cholera map to find the next pub. Snow’s map is often used as an example of data visualisation – where new information appears by showing data in a particular way. We used the map to find pubs. 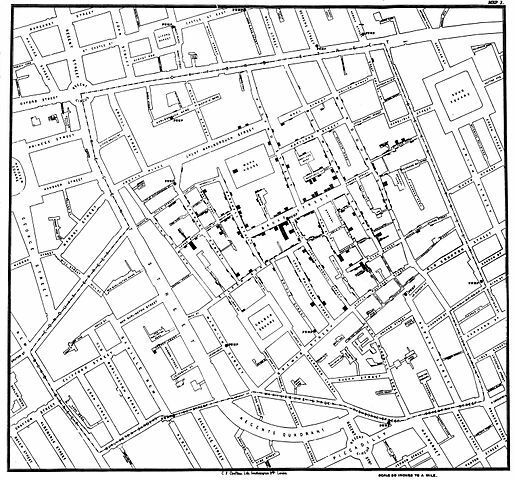 There are a lot of pubs in Soho, but we narrowed down our choices by overlaying the map of local pubs and cake shops with the 1854 cholera outbreak map, and chose only infection hotspots. That didn’t always work…. 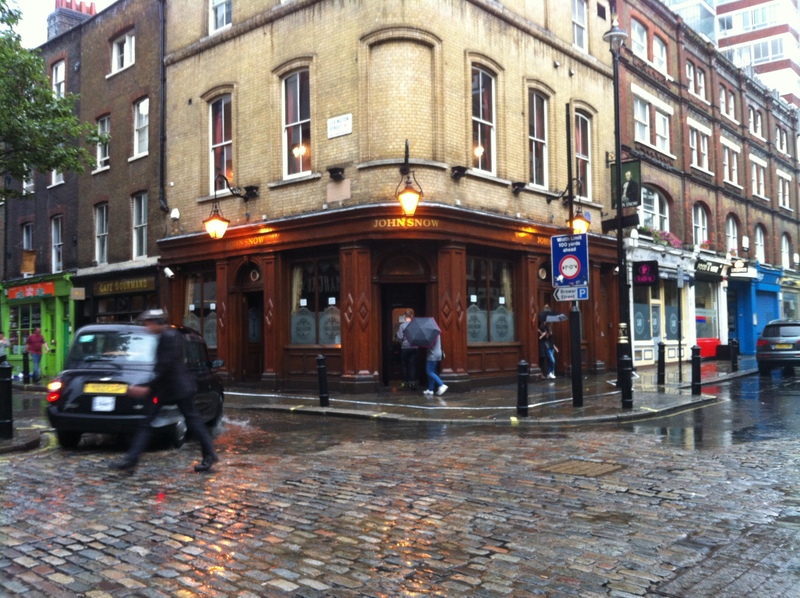 We found several pubs in cholera hot spots, but on Snow’s original map, there was a different correlation between cholera and beer. Once he had mapped the locations of the outbreak, he found a gap: a place where there *should* have been cholera, but there was none. It was a local monastery, where the monks didn’t drink water from the Broad Street pump, but only homebrewed beer. 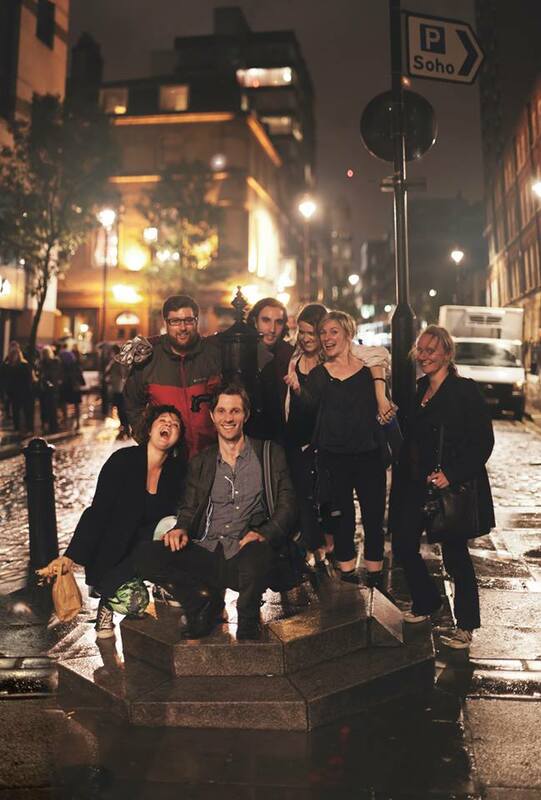 Drinking exclusively beer protected them from the cholera outbreak, so what better way to commemorate the Soho cholera epidemic than with a pub crawl! This entry was posted in Have Science Will Travel, This Mortal Coil and tagged cholera, epidemiology, John Snow. Bookmark the permalink. The history of the visual presentation of data is fascinating. What seems obvious now, was unheard of in the 1850’s.